The Xhadow Precision RCA is one of the best RCA plugs in the world. The main barrel and rear-nut are lathed from pure aluminum rod-stock and anodized in "Xhadow Gray" for a durable and non-conductive finish. Into this barrel assembly fits the contact assembly. 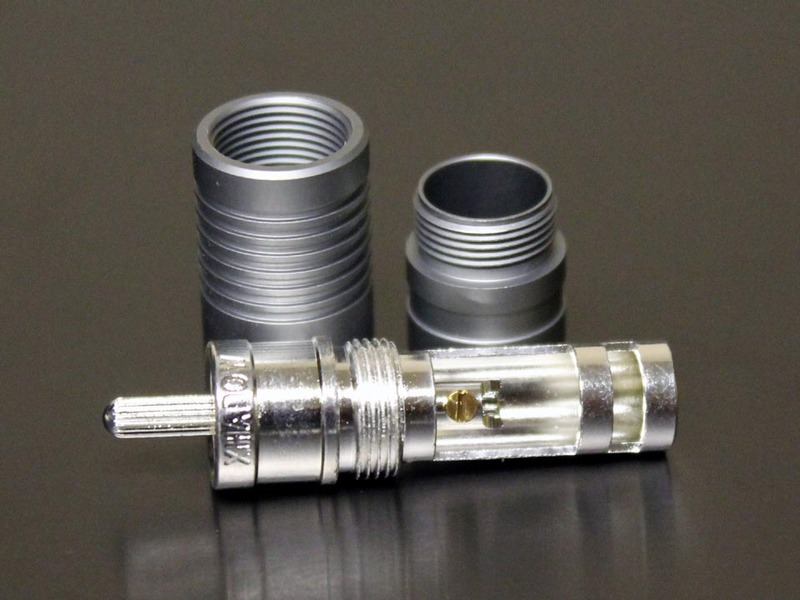 Each one is machined from OFC (Silver plated) with a Teflon dielectric. The center pin allows the termination of wire to be completed via solder, set-screw, or both. This gives the end-user a tremendous amount of flexibility while also allowing them a fantastic contact interface with their wires. 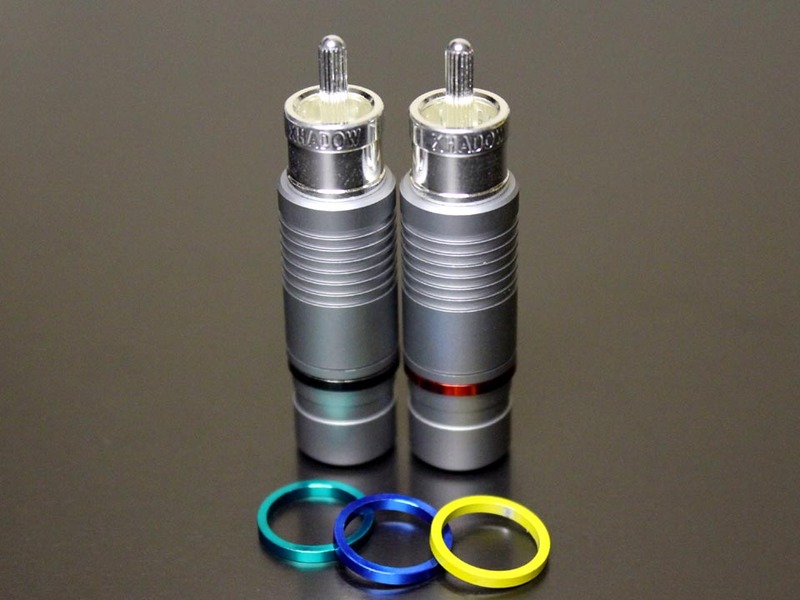 The fit of these connectors is smooth but very strong, with a tremendous amount of contact pressure to ensure perfect and consistent signal passage with a minimum of contact resistance.